Check out the rest of our range of quality flower umbrellas! 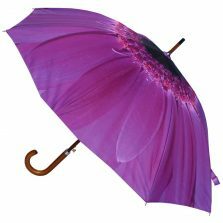 Another of the popular flower power range of fashion umbrellas – The Daisy purple flower umbrella. The canopy boasts a deep rich purple coloured daisy creating an amazing design. You’d have never guessed! Measuring 35″ (89 cm) from handle to tip, and having a canopy width of 41″ (104 cm), these exciting fashion umbrellas are selling like hot-cakes so don’t delay… order yours today to avoid disappointment. 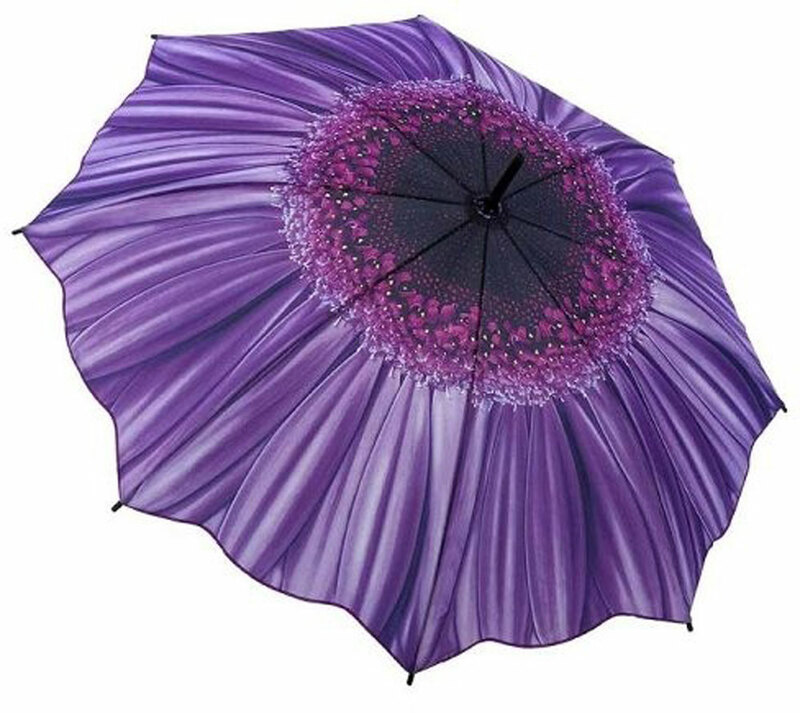 The Daisy purple flower umbrella has a black handle and stem, complete with matching spoke tips and a sturdy top ferrule. It has a strong metal frame combined with modern lightweight fibreglass spokes and is auto-open for ease of use. 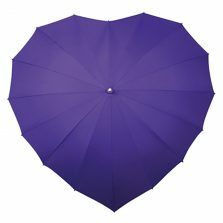 One touch of a button and this beautiful ladies purple flower umbrella is ready to keep you dry, whilst brightening up the dullest of daze. Not the right umbrella for you? Check out the rest of our range of quality flower umbrellas!